Lawrence J. McQuillan is a Senior Fellow and Director of the Center on Entrepreneurial Innovation at the Independent Institute. 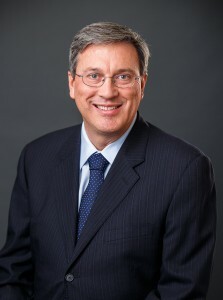 He received his PhD in economics from George Mason University, and he has served as Chief Economist at the Illinois Policy Institute, Director of Business and Economic Studies at the Pacific Research Institute, Research Fellow at the Hoover Institution, and Founding Publisher and Contributing Editor of Economic Issues. Dr. McQuillan’s books and major studies include A Brighter Future: Solutions to Policy Issues Affecting America’s Children, California Prosperity: Roadmap to Recovery 2011: Ten Steps to Return California to Prosperity, Jackpot Justice: The True Cost of America’s Tort System, U.S. Tort Liability Index, The Facts about Medical Malpractice Liability Costs, U.S. Economic Freedom Index, An Empire Disaster: Why New York’s Tort System Is Broken and How to Fix It, Tort Law Tally: How State Tort Reforms Affect Tort Losses and Tort Insurance Premiums, Bringing More Sunshine to California: How to Expand Open Government in the Golden State and The International Monetary Fund: Financial Medic to the World? In addition, he is the author of more than 350 articles in such leading outlets as the Wall Street Journal, New York Times, Chicago Tribune, Los Angeles Times, San Francisco Chronicle, Investor’s Business Daily, Forbes, USA Today, New York Post, and Encyclopaedia Britannica. He further created the California Golden Fleece Awards to highlight a state or local spending program or regulation that fleeces California taxpayers, consumers, or businesses. He has been an advisor for the California State Assembly Judiciary Committee, Socioeconomic Council of Madrid, Colorado Governor Bill Owens, Heritage/Wall Street Journal Index of Economic Freedom, Governor Arnold Schwarzenegger’s task force on a constitutional spending limit for California, California State Senator Tom McClintock, Tax and Fiscal Policy Task Force of the American Legislative Exchange Council, Law and Judiciary Policy Committee of the Georgia Chamber of Commerce, Swedish Office of Science and Technology, Adriatic Institute for Public Policy, and elsewhere. Dr. McQuillan has appeared on NPR, Fox Business Network, CNBC, C-SPAN, CNN, and radio stations across the U.S.